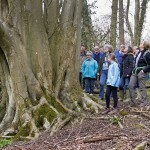 Thanks to the invitation from Froyle Estate, 30 Froyle residents were able to enjoy walks in Hawkins Wood to see the carpets of bluebells, amongst other plants, on two occasions in April this year. Thanks also to Sue C who led the walks with great enthusiasm and knowledge. 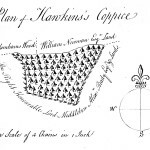 Hawkins Wood is semi-natural ancient woodland which is thought to be at least 400 years old. 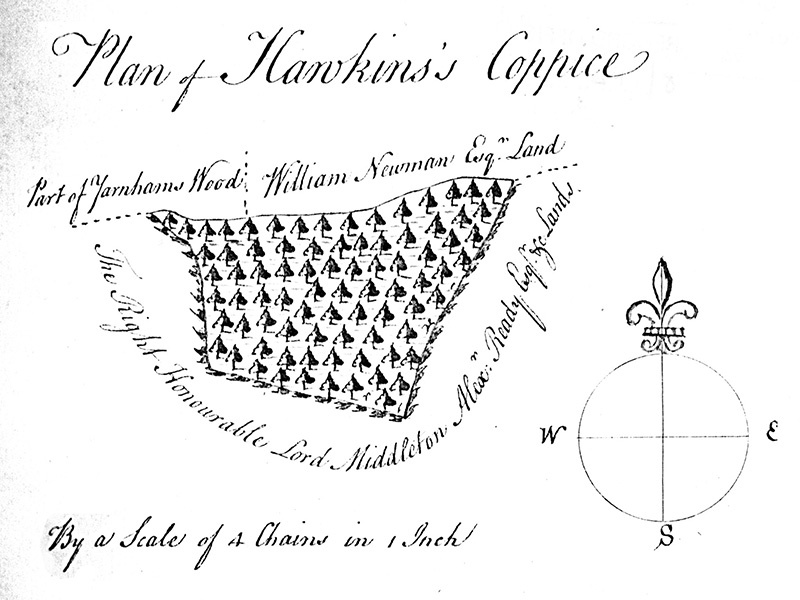 This is borne out by looking at the 1771 survey of Froyle woodlands. The area shown here is the same area of woodland as depicted in current maps. Woodland has been essential for the daily life of folk for the majority of its existence, enabling bowls, cutlery, buildings and furniture to be made, and of course providing vital firewood. Coppicing was regularly carried out to provide wood; this in turn opened up the forest floor to light, allowing ground flora to establish. Hawkins Wood is a SINC, (Site of Importance for Nature Conservation) and as a habitat is irreplaceable. 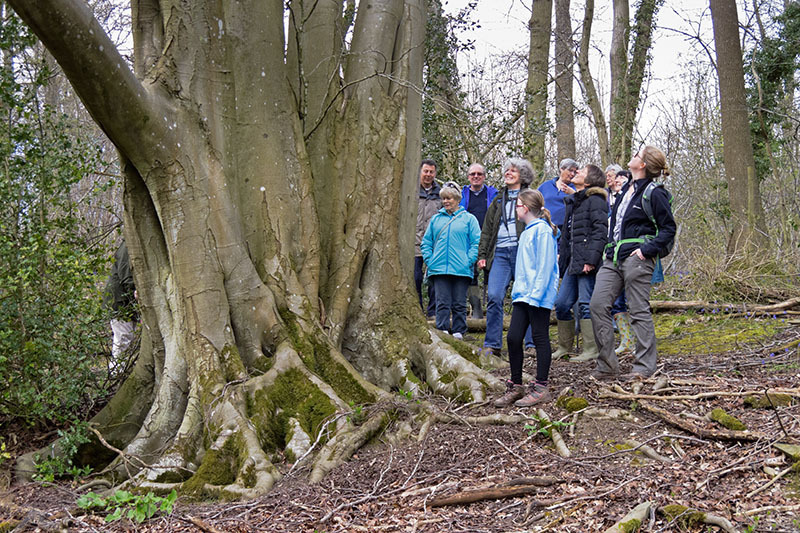 Plants can be used as indicators for ancient woodland. 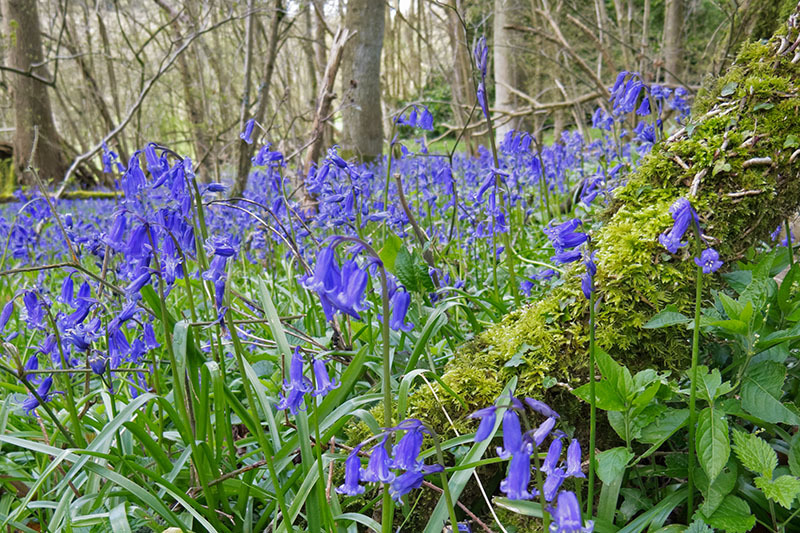 The Bluebell has been voted as top of England’s favourite wildflowers. In the past the bluebell sap was used to fix feathers on to arrows, and as a starch for Tudor ruffs. 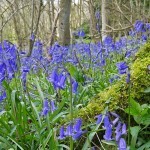 Globally wild bluebells are scarce and the UK has 40-50% of the World’s population. Unfortunately, the non-native Spanish bluebell is in danger of pushing out our native bluebell, through crossbreeding with it. As well as the glorious bluebells, other ancient woodland plant indicators that were seen on the walk included Yellow Archangel, Wood Anemone, Barren Strawberry, Early Dog-violet, Primrose, Wood Sorrel, the imaginatively named Townhall Clock with delicate flowers facing in 4 directions, and Toothwort, again appropriately named for its tooth like appearance, a plant that is parasitic on tree roots. Amongst the trees it was interesting to see a coppiced beech tree, measuring 7.6m in girth, thought to be at least 300 years old. The coppiced wood may well have been used by bodgers to make chair legs in years gone by. ← Swift Talk 2016 Summary – Nest site creation in Froyle?